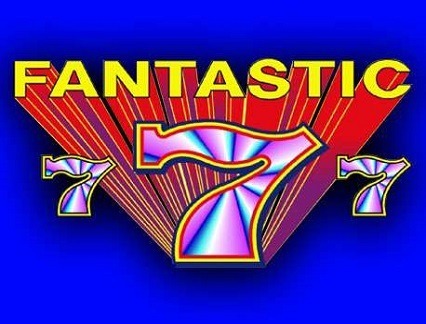 Game Information: Fantastic 7s is a classic slot based on, you guessed it, the number 7 and offers plenty of unique angles and features including no less than three unique pay tables. The game is one of the oldest in Microgaming’s vast slots library and, as such, offers a very straightforward ‘old school’ feel within both its graphics and in its gameplay. Fantastic 7s doesn't offer any bonus features and is ideal for connoisseurs of the true classic slot game, where the look and feel of a classic Las Vegas 3 reel slot is more important than tons of extra features and special bonus rounds, some players, believe it or not, find that to be quite distracting. Learning how to play Fantastic 7s couldn’t possibly be any easier and this is an ideal game to start with if you are new to the wold of online pokies. The game is also ideal for those players who prefer something more minimalistic and straightforward. 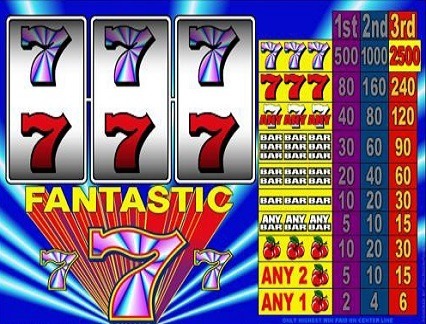 As you can no doubt tell, Fantastic 7s is a bit different from many of Microgaming’s other video slots that feature 5 reels and 243 or more ways to win. That’s because this is what’s known as a classic slot which usually only features 3 reels and a single payline. This is however, also what makes Fantastic 7s so appealing, its total simplicity and ease of play. There are no special bonus rounds to get confused with or multiple paylines and betting options to make it all intimidating, or even too many colourful lights and other distractions to be concerned with. 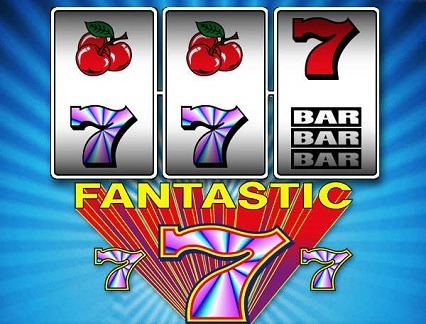 Fantastic 7s is all about classic, simple gameplay and is one of the most popular games with Kiwi pokies purists. The game offers flexible coins sizes and wagering options making it ideal for any bankroll size. As with most classic 3 reel slots, the graphics and sounds offered by Fantastic 7s is very simple and may not suit all preferences. This a classic slot and the lack of high end graphics, flashing lights, cutaway movies and animations is all part of the design. This game is designed to be reminiscent of the vintage one armed bandits found in Las Vegas in the fifties and sixties. The graphics are simple and consist of 7s, bar, double bar, triple bar and a few other typically classic symbols (cherries and so on). The sound is similarly very simple and classic and consists mostly of bells when winning combinations are put together along the single payline. Other sounds include an imitation of real geared reels as they spin, adding more to the feel of a classic Las Vegas slot. There is no real jackpot like one gets in other Microgaming video slots or progressive jackpot pokies The game does feature a rather interesting 3 paytable setup which works according to the number of coins players wager per spin. The first column shows the payout based on a single con wager, the second shows a payout based on a two coin wager and the third column shows a payout based on a three coin wager. This effectively means that your wager is either doubled or tripled based on the symbols that line up along the single payline. Other than the cool three separate paytable concept based on the classic slot machines of the golden age of Las Vegas, the game does not really offer any other special features. While some will see this as a negative, purists will appreciate the lack of sometimes distracting bonus rounds and overly-complicated special features. This is a game for true classic pokie purists.